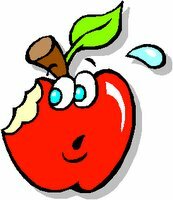 The Disappearing Of The Teachers Cafeteria Food Service In The Remaining Large Comprehensive High Schools Is A Real Shame. Over the last decade it has been no secret that the Bloomberg Administration has made a point in trying to destroy and close down the large comprehensive high schools in the City and has unfortunately succeeded very well in achieving this goal. Even the few comprehensive large high schools that have survived are still targets, remember the turnaround school fiasco?. Now we find out that the DOE has apparently shortchanged the large comprehensive schools of much needed resources while still fully funded the Bloomberg small schools. That required the large comprehensive high schools to cut services, be it staff, after school programs, or services. One of the services that has been eliminated was the teacher cafeteria food service. In the Borough of Queens there are only two high schools that still have teacher cafeteria food service Some schools like Bayside High School have not only closed their teacher cafeteria food service but eliminated the teacher cafeteria entirely. Now you might think that the elimination of the teacher cafeteria food service is no big deal and saves much needed school resources in an ever tightening school budget. 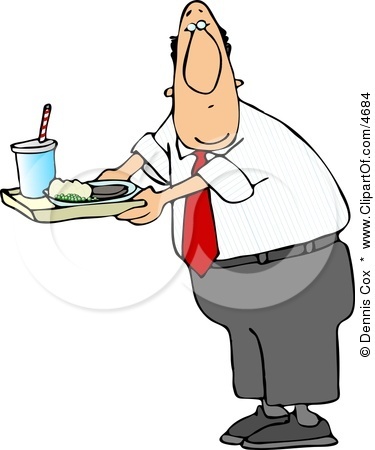 However, the elimination of the teacher cafeteria food service has had a demoralizing effect on school staff. For teachers, it meant that they would need to bring in their lunch since they only have 45 minutes for lunch and going out of the school to get something to eat is out of the question. Therefore, many teachers waited for their school day to end before getting something to eat and lacked the energy to effectively teach their late classes. Moreover, the teacher's cafeteria allowed the teachers from different departments to interact in a casual setting and exchange information and gossip about the school. Finally, the teacher's cafeteria food was nutritious and reasonably priced, this allowed teachers not only to socialize with each other but to restore much needed energy into their bodies to be a more effective teacher for the afternoon. While to many the loss of the teachers cafeteria food service may not be a big issue. However, for the staff at the large comprehensive high schools it is a symptom of the thousand small cuts that eventually destroys the school and the education with it and that is a real shame. There Are No Excuses For The Continued Educational Failue By The Bloomberg And Walcott Administration As New York City SAT Scores Fall. Nationally 43% of the nation's students achieve SAT scores of 1,550 which is the benchmark to be "college and career readiness". New York State students appear to be slightly above the national average. However, the New York City student "college and career readiness" number is an abysmal 20.7% and the SAT scores seem to support that number. Let's see all the educational failures that the Bloomberg/Walcott Administration occurred under their tenure. 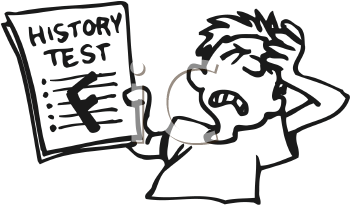 Flat or falling SAT scores. Falling "college and career readiness" values. Bogus "credit recovery programs" that required a more rigorous procedure and use. An unacceptably high College dropout rates. An unusually high College remediation rate. This ignores the selective starving of some schools of adequate resources and funding to feed the Bloomberg small schools which have a ridiculously low "college and career readiness' rate of 11% and are nowhere close to being successful.. 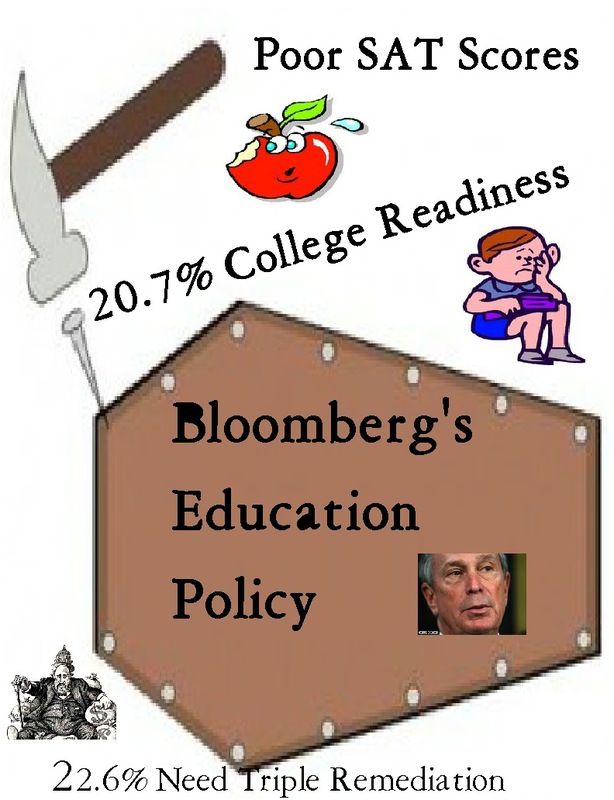 It is very obvious to any independent educational observer that the Bloomberg Administration is a failure when it comes to improving education. Worse, when Dennis Walcott became Chancellor he promised parents that he would include them in the process, unlike Joel Klein.. However, the result is quite the opposite and parent voices and concerns are actually being ignored by the Bloomberg/Walcott Administration. The latest is allowing selected schools to give out injectable birth control to girls (plan "B") as young as 14 years old without parent approval or knowledge. I guess the DOE is just waiting to pay out large sums of money when the first 14 year old girl dies or is seriously injured by being injected without parental consent. Overall, the Mayor and his pet poodle, the Chancellor will go out with an educational policy a failure and we can only hope that the next Mayor and Chancellor include teachers and parent6s in the process if there is to be educational improvements. Top down imposed policy has shown not to work and a more inclusive process with wraparound services is the key, especially in an urban area where 30% of the students come from poverty and an additional 50% come from low income households. What Does The Future Of The Absent Teacher Reserve Look Like? One of the most thorny issue between the Union and the City is the status of the Absent Teacher Reserve (ATR). These are teachers that have been excessed from their schools and have no classroom position. The latest number of ATRs is 1,822, which is similar to the last few year numbers. It was fortunate that the union won the turnaround battle, otherwise the ATR numbers would be close to 3,000. 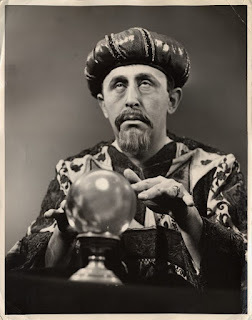 The question is what is the future of the ATR? Well I do not have a crystal bail and cannot project the future but it appears to me the the ATR is here to stay for the foreseeable future. Lets look at the issues surrounding the ATR problem. Time Limit: Presently, there are no time limitations to be an ATR. In the agreement worked out between the union and the City both sides agreed that the Principals can hire who they wanted rather then from the excess teachers list as long as the DOE paid the excessed teacher's salary until the excessed teacher received a classroom position. Even before the ink had dried, Chancellor Joel Klein was calling the ATRs "bad teachers" to the press and wanted a time limit of six months when the DOE can fire the teachers. To the union's credit, the ATR time limit has never been a negotiable item and every time the City brings it up, the union immediately shoots it down. I see no change in the union position and the lesson of Chicago burns brightly to remind the union of the consequences of allowing an ATR time limit. ATR Buyout: It now appears that Chancellor Dennis Walcott's idea of a generous buyout for long-term ATRs was not so generous after all. The maximum ATR buyout would be $25,000 for top salaried teachers and would average a meagerly $14,000 for the average ATR. Not generous at all! It would seem an ATR buyout is not happening during the Bloomberg Administration but might reappear when the the next Mayor negotiates with the union as part of a contract. Legislative Action: I do look for the Bloomberg Administration to make one final attempt by crafting a bill that will allow for an ATR time limit, emboldened by Chicago's limiting the ATR window to five months. However, I expect the bill to be shot down as the Mayor is rapidly losing influence in his "lame duck year". Of course if in the highly unlikely event that Sheldon Silver loses his position as head of the State Assembly that could change matters somewhat. ATR Non-Representation: One of the biggest complaints by ATRs is that they have no representation and I do not see that changing in the near future. The union's position is that the school's Chapter Leader represents the ATR. However, since the ATRs go weekly to different schools, the Chapter Leader may not meet with the ATR or be even aware of who the ATR is. Many schools abuse the ATRs by making them do cafeteria duty, six periods, four periods in a row, or other non-teacher duties and the Chapter Leader refuses to represent the ATR complaints dealing with the abuse. This is especially true in the Bloomberg small schools where teachers are expected to preform duties that violate the contract and the Chapter Leader willingly goes along with it. ATR Numbers: It is very obvious that both the City and union do not like or want the public to know how many ATRs there are. After claiming that the ATR numbers are the lowest in years, suggesting that the ATR crises was resolving itself with the successful policies of weekly ATR assignments and requiring principals to hire ATRs for their vacancies or long-term leave replacements. It now turns out that the numbers are just as high, if not higher then in previous years. In fact the union's failure to enforce the provisions of the ATR Agreement and the DOE deliberately ignoring Principals misconduct for not abiding by the ATR Agreement is primarily responsible for the large ATR numbers. While the union won a grievance, there still is no enforceability or penalties if the DOE fails to abide by the ATR contract provisions. Therefore, I predict no significant change in the ATR numbers in the coming years. In fact, they may go up if Bloomberg is successful in closing more schools before he leaves office. The ATR And The Next Mayor: This is certainly the "wild card" since the next Mayor is still an unknown. However, it is safe to assume that the next Mayor and the union will settle on a contract and it will have an effect on the future of the ATR. In the "best case scenario" the next Mayor will not want to waste $160 million dollars annually and will require the DOE to place the ATRs in vacancies rather than let principals hide them or hire outside teachers. A more realistic scenario would be that the next Mayor and the union will enforce the ATR Agreement provisions and reducing the ATR pool significantly while savings money. Of course this assumes that the next Mayor will replace many of the top bureaucrats at Tweed who are responsible for the current ATR fiasco. Future Of The ATR: Unfortunately, the ATR is here to stay. However, I do see better days ahead as the ATR numbers will be reduced with the next Mayor and with enforcement provisions in place and better union support to ensure principals are not abusing the system. At least I hope so. The Difference Between The Chicago And New York City Teacher Unions When It Comes To Striking For Our Rights. The most historic event in this decade has finally come to an end and that is the game-changing Chicago teachers strike against an egotistical pseudo-reform minded bully Mayor named Rahm Emanuel. While the teachers appear not to achieved everything they wanted, they certainly put a stop to the Mayor's abusive and disrespectful actions against the teachers in the Chicago public school system. While there are some similarities between the two cities, they both have egotistical and bully Mayors who despise teachers and are intent in closing public schools and replace them with Charter schools, refuses to give the "City pattern" to the teachers, and an unwanted teacher evaluation system that is heavy on standardized tests with no appeal process. 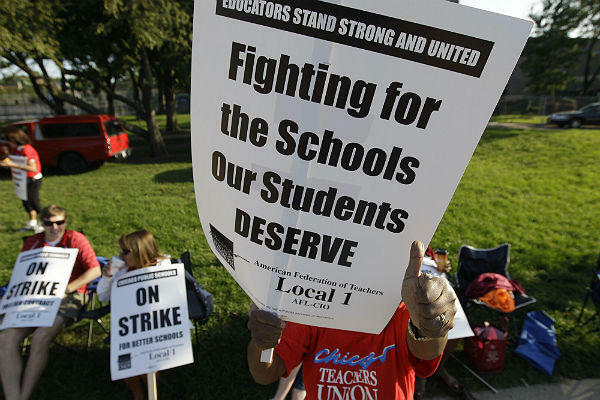 However, there are many more differences.between the two cities and their teacher unions. The Taylor Law: First and foremost there is New York State's Taylor Law which prohibits public workers from striking and penalizes strikers by giving up two days pay for every day of the strike. Moreover, the union would lose dues checkoff rights and the Transit union found that out the hard way when only 33% of their members were willing to voluntarily pay their dues after the union lost their right to automatically deduct dues from its member paychecks. The Triborough Amendment: Unlike most states, New York public workers are protected by the Tribourough Amendment which prohibits the employer from imposing contract conditions without a collective bargaining agreement with the union. For example, in Chicago, the Mayor imposed a longer school day, a teacher evaluation system heavy on standardized tests, worsening working conditions such as layoffs, unpaid sick or personal days, and unlimited class sizes. Many of these items have only been eliminated or modified because the Chicago teacher's union deciding to strike. Layoff Procedures: In NYC teachers who no longer have a classroom position because of closing schools or are excessed from their school will be put in the Absent Teacher Reserve (ATR) pool until the teacher gets a classroom position in another school. Some teachers have been ATRs for years and despite complaints and failed legislation by the City, no change is expected, especially during the Bloomberg Administration. By contrast, teachers in Chicago are given a short window to find a position or be fired. According to the Mayor he wants it to be five months, the union has tentatively agreed that half of the excessed teachers will not be offered new positions and they call that a victory? I certainty don't. Class Size Limits: NYC has a class size limit of 34 students any class over 34 students is subject to an expidited grievance and for the most part are resolved by October. On the other hand Chicago has guidelines but no class size limits and there is little a teacher can do when their class sizes approach 40 students. Union Caucus: The Chicago teachers union is controlled by a once-dissident caucus that took power when the members voted out the previous "Unity-like caucus" for their appeasement polices when confronting the City. in the past. 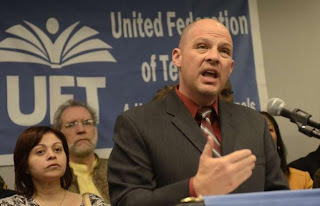 By contrast the NYC teachers union has been and always controlled by the "Unity caucus" and its appeasement policies that reduced teacher "due process rights" and worsening the classroom environment have never been seriously threatened by the members, even after the horrible 2005 contract which Randi Weingarten gave the store away for measly raises (3.15% annually) that didn't even equal the New York City inflation rate of 4% at the time. Furthermore, the UFT lacks transparency and that frustrates members while the CTU is much more transparent and that are the differences between the two unions and that explains why the Chicago union is much more activist than the NYC union . With all the labor protections and severe penalties our State has I cannot see our union or any of the dissent caucuses asking for a strike vote at this time. Especially since the Mayor is powerless to change our contract, it is best to wait him out and negotiate a fair contract with the next Mayor in 2014. Poverty Is The Most Important Problem In A Child's Academic Development. In the wake of the Chicago teachers strike one of the issues being brought up is the effects of poverty on student learning. Until the strike it seemed that the teachers union, especially Randi Wiengarten's AFT has seemed defensive when responding to the Education Reformers "no excuses" mantra that poverty is simply an excuse for poor teaching. However, the Chicago teachers strike has put the poverty issue into better focus and may act as a turning point for society to realize how important it is for children in poverty to have the necessary support services for these students to achieve academic success. What will it take for students who live in poverty to succeed academically? The simple answer is to eliminate poverty, which is virtually impossible in a country suffering from recession. Therefore, our elected leaders must fund programs that have shown to work. These programs should include pre-school programs, family intervention programs, and most of all, bringing fathers back into the family. Head Start: This program has shown to be very effective in helping children in poverty achieve academic success in the early elementary grades. Many poor children have limited vocabulary due to a lack of academic stimulation at home and this weakness gets magnified as these students fall further behind academically as they get older. Programs such as Head Start should be part of our country's educational policy and all pre-school children should have an opportunity to get a start in their academic development, especially children growing up in poverty. Academic Interventions: One of the problems with Head Start is that the academic improvements disappear by second or third grade and without additional academic interventions the child will start to fall behind and be in danger of being left back or worse, drop out during high school. Therefore, programs such as one-to-one-tutoring, mentoring, and after school programs are a necessary component for any successful academic intervention. Expanding the Boys & Girls club and PAL programs would be examples of how to keep the children off the streets and away from gangs that lead to academic problems. Wraparound Services: While it is very important for children in poverty to have academic support, it is more important that these children have a stable family environment. Too many children come to school hungry, without proper clothing, and with poor hygiene. 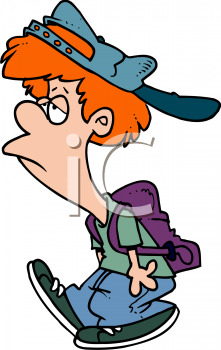 This takes their toll on the child's self esteem and are, in turn, ridiculed by their peers by their appearance. The result is a reluctance, even a hatred, about going to school and a poor academic performance. In other words, it starts at home with the family. These "broken families" are usually mother led single family households, with little family supervision and discipline, which struggling financially. Therefore, intensive interventions are needed with social workers, family councilors,, and organizations such as "Big Brother and Big Sister" to bring a role model to the child. Finally, it is important that the child receive adequate health and nutrition and that the caregiver is trained to meet the child's needs and keep him or her safe. Fathers: Many people in power ignore the role fathers play. At the very least fathers can supply extra income to a family and keep them out of poverty. However, more importantly, fathers can bring discipline and a role model for the child. Too many children lack discipline and without fathers in the house look for role models in the community which can be gang leaders, drug dealers, criminals, and other undesirable people. Fathers bring stability and structure, as well as financial support to the family. It is no coincidence that an astounding 39% of our prison population come from mother led single parent households. 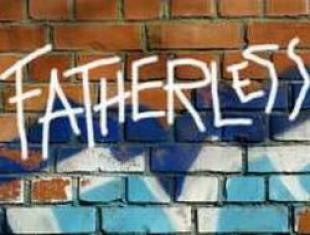 Worse yet, 85% of our youth in prison come from fatherless households! Here are some interesting facts when fathers are part of the household. I in 3 teenage girls get pregnant in fatherless homes compared to 1 in 20 with the biological father present. While it does not take marriage to be a good and involved father it does help to cement the family unit and brings a role model to the child. The bottom line is that "stay-at-home" fathers are not only important but necessary if a child is to escape poverty and succeed academically. Sure, it is important to have an excellent teacher in the classroom but it is imperative that we eliminate poverty and it's causes if those excellent teachers can get these children to succeed academically. What the Union Must Demand In A New Contract. Salary: At a minimum, the union should accept no less than the "City pattern" the first two years which are two 4% raises minus the 0.55% we owe the City for getting back the two days before Labor Day. The next two years should include raises at least equal to the rate of inflation in the City which averages 3% annually. That means that teachers should receive a minimum raise of 13.45% raise for the four year contract that would end in October 2013. The fact that the Mayor claims there will be no "retroactive raises" makes any contract negotiations with the City highly unlikely unless the union caves in to the Mayor. Fair Student Funding: A prime negotiating point should be the elimination of the unfair "fair student funding formula" that forces schools to hire the most inexpensive teacher rather than the "best teachers" due to budget constraints. This legacy of the Joel Klein Chancellorship needs to be eliminated and allow the schools to really implement "children first" policies. It is time to bring back the long practiced and successful making teachers units. Under the unit method the salary of the teacher would no longer be a factor for principals and they can hire the "best teachers" not the cheapest for their students. 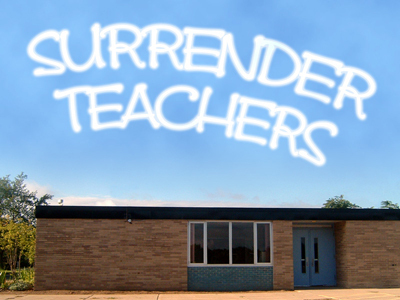 Absent Teacher Reserve: The elimination of the "fair student funding formula" will greatly reduce the ATR crises and I would be shocked if there were more than 500 ATRs floating around. Moreover, the union must insist that the DOE require principals to hire excessed teachers, certified in the subject area, in their District before they can hire outside teachers. The combination of the two options would eliminate the ATR problem entirely. At a minimum, the union must get the DOE to reintroduce the November 2009 ATR proposal that encouraged principals to hire ATRs at school salaries the are the same as a "newbie teacher" with Tweed paying the difference. Under no circumstances should the union agree to an ATR time limit, remember what happened in Chicago? No Givebacks: Under no circumstances should the union "giveback" anything to the City. No more time, no merit pay, no increase in health co-pays, and most of all, no weakening of teacher "due process rights". The Mayor wants us to surrender and make teaching a temporary job with no pensions or retiree health benefits if he could have his way. 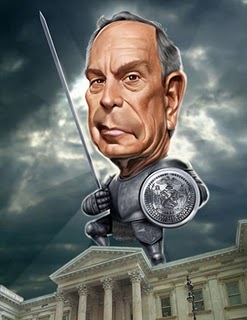 While I do not think there will be a new contract until Mayor Bloomberg is gone. However, if there is one, the union better not cave in to the Mayor as they did in 2005. Better to wait for a new City Administration than surrender to the Mayor and his hostile anti-teacher cronies at Tweed. Why Are Small Schools Bad For Students? Let Me Count The Ways. During the Bloomberg Administration's tenure many of the large comprehensive high schools have closed and many more are in danger of closing. To replace these now closed or closing schools are almost 500 small schools, many of them with themes such as preforming arts, sports, or journalism, just to name a few. While the Bloomberg Administration has hailed them as a success because of an artificially higher graduation rate, the truth is very different. What are the problems with these small schools for many students? let me count the ways. All small schools have less than 500 students and there is usually a limited curriculum consisting of the core subjects, a selected Advance Placement course or two and electives that are connected to the school's theme. In other words, a rigid and limited schedule. Many students regret going to these schools because of the lack of flexibility in course selection and are frustrated about the "one-size-fits-all" approach in scheduling. One of the most recurring complainants by students in small schools are the limited number of extracurricular activities available in the school. Some of the more fortunate schools that are located in a campus of a closed large comprehensive high school, pool their resources to have a PSAL sports team. However, the majority of the small schools do not have that luxury and PSAL sports programs are usually limited to two or three sports teams compared to the twenty or more PSAL sports teams at the remaining large comprehensive high schools. Furthermore, the small schools lack funds for clubs and only a few clubs are available to the students and the lack of variety of these clubs leave many students on the outside looking in..
During the time I was an ATR and moving to different schools weekly, I noticed that the small schools had only one teacher for each subject (two for English and Social Studies) and when I covered for these teachers some of the students complained that they do not like their teacher and would want to transfer to another class but can't because there is only one teacher teaching the course. Moreover, the rigid scheduling of the small school makes a transfer virtually impossible. Worse of all, many of the small schools are staffed by Leadership Academy Principals and untenured staff. The inexperienced Administration and teaching staff puts these students at a competitive disadvantage as these students are guinea pigs as the staff must experience a steep learning curve. This shows up in the abyssal college readiness scores of 11% for the small schools. Too many students are caught in classes that they don't want and with teachers who are just learning how to teach themselves. 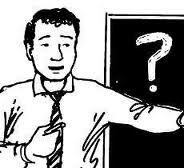 Moreover, when study/teacher interaction is not good, the student has no option but to stay in the class since there is no alternative. The result from a student's perspective is that these small schools are more like a prison than a true learning institution where they can blossom and expand their academic and social horizons. While the Bloomberg Administration made sure that these small schools receive their full funding, unlike the large, comprehensive high schools, the budget is still limited and a significant amount of school funds go to the Children First Network (CFN) Bureaucracy. One Principal complained privately that over 15% of the school budget goes to unwanted and unnecessary programs that his CFN imposed on his school. The bottom line is that too much money of an already tight budget goes for non-classroom programs and the result is that principals can't or won't hire experienced teachers to mentor the many inexperienced teachers who struggle with classroom instruction and management, because of their salary and this is especially true of the small schools. Is it any wonder that the students quickly get disenchanted with their small school? 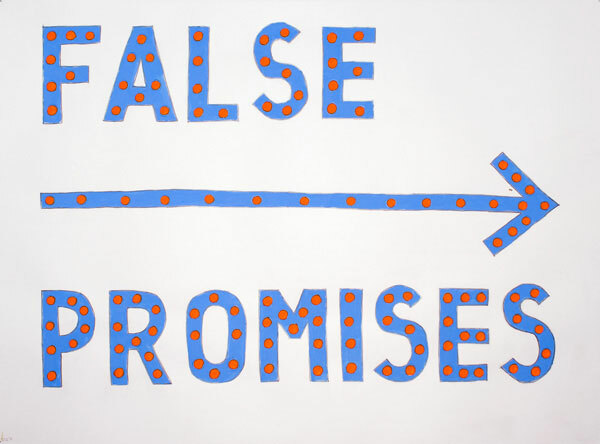 The bottom line is for the small schools to really succeed, the DOE must increase their budgets to provide more curriculum choices and extracurricular activities, eliminate the CFN's that siphon much needed funds for programs that do not work, and encourage not discourage the hiring of experienced teachers to improve the overall quality of classroom instruction at the schools. Common Core Will Cause Academically Struggling Students To Fail Without Strong Parental Support. During the past two days I have hearing about the new "Common Core Standards" and how it will allow students to reach the high standards that will make them productive citizens of our country. However, it is one thing to" reach for the stars" and another to have the means to do so. In many of our urban areas students struggle academically every day as poverty, family, and community problems interfere with student learning. 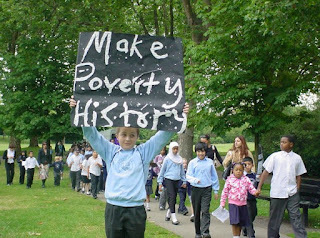 In fact numerous studies have shown that family and poverty are major factors in impeding student academic achievement. Now the nation is implementing CCS in the curriculum on an unprepared student population that suffers from poverty and single or no parent households. Simply stated CCS allow a student to go deeply into a particular topic and substitutes memorization with understanding and in theory, would improve student learning. However, for CCS to work, it will take a village. That means parent involvement, social and academic interventions, otherwise, known as wraparound services,as well as school support.Without the entire village, many students will be unable to have the tools necessary to achieve academic success. 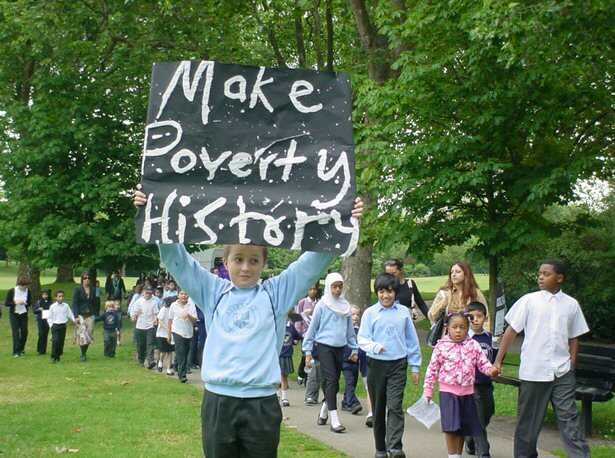 Education reformers can lay the blame on the schools with their "no excuses" argument but the reality is that without parental support and addressing the child poverty issue, the schools can only make a small impact on the child's life. The Achilles heel for successfully implementing CCS is the lack of parental involvement and without parental participation, the necessary tool for their child to reach for those higher standards is lacking. Too many children have no academic stimulation at home. Their homes have no books, or even a quiet place to read and do homework. Instead they are texting, playing video games, hanging out in the street, or watching cartoons, Is it any wonder that under the existing and easier curriculum these children struggle academically? How do you expect them to succeed when CCS makes the curriculum more difficult without addressing the existing problems? While CCS has a lot of promise, it can be a death sentence for students in poverty and have no parental support. Educators 4 Excellence Claims That Poverty Is Not As Important As An Excellent Teacher But Continues To Fail To Show Proof Despite Overwhelming Evidence To The Contrary. During my vacation I turned to the CNN blog comments and saw one of those "Educators 4 Excellence" (E4E) mouthpieces write how it was more important for a student to have an "excellent teacher" rather than living in poverty despite the overwhelming studies that show the opposite conclusion. I guess the E4E represents the "no excuses" crew who prefer to ignore poverty and family as the major contributing factors in a student's academic development. What interested me was her failure to define what an "excellent teacher" is. but then that is always the problem with Education Reformers who never say what the specifics are. More telling, Ms. McGurk has a Masters degree in educational leadership, is she still teaching in a classroom or is she like many of the E4E drones who fled the classroom at the earliest opportunity? Just look at Ruben Brosbe, Evan Stone, and Sydney Morris, just to name a few, they couldn't leave the classroom fast enough. Independent studies have shown that social-economic factors like poverty, community, and family account for 80% of a child's academic development. An excellent article written by Daniel Akst in Newsday is a must read. However, the Education Reformers and their allies like E4E, with blinders on, pretend that poverty is not important or not as important as an excellent teacher. Hence their slogan of "no excuses". According to E4E an excellent teacher is whatever the Principal decides is one, along with test scores. In other words a teacher who does continuous test prep and kisses their Principal's rear end is the E4E definition of an excellent teacher. Maybe E4E would be more credible if they were more accountable, many of the leaders of E4E no longer teach in the classroom and in many cases never received tenure (Ruben Brosbe, Sydney Morris, etc.). To me E4E is a derisive influence on teachers and a tool of Education Reformers who's main purpose is to destroy the teachers union and eliminate long held tenure and seniority rights. Worse, is that E4E is a willing accomplice in trying to destroy teacher "due process rights". 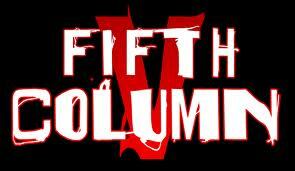 In other words a "fifth column". and teachers need to stay away from this evil organization.